Depending on the distance between the ribs, shutters allow from more or less light, shadows, to complete blackout, protection from unwanted views, and provide a nice aesthetic look to your home. When closed, protect against break-ins. 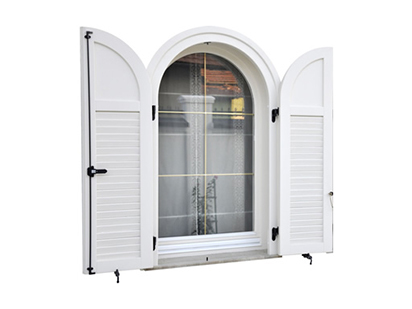 In addition, shutters are an excellent insulator, so that in addition to llight protection they also keep the interior temperature of the room. Shutters can be made with mobile, semi-mobile and stationary slats. It can be mounted directly to the frame of the window or it can be placed in its own frame. When plastic coated all colors from the RAL chart are available, meaning that it is possible to fit in a variety of styles. PVC window boards are the final part of the lower part of the inner window jamb. Special configuration of window boards and the existence of internal dividers gives extra strength to the structure. 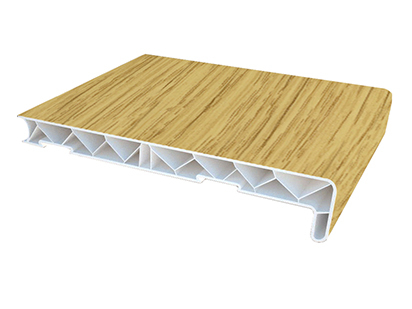 Special surface of window board makes it a multi-purpose and guarantees longevity. They can be white, brown and in special requests wooden texture. Drips are external window boards made of extruded aluminum. Drip can be in different sizes and colors according to customer's desire.